We had a problem, they had a solution. 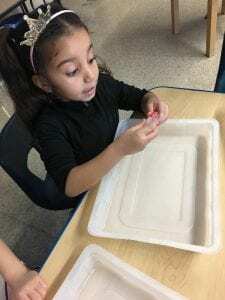 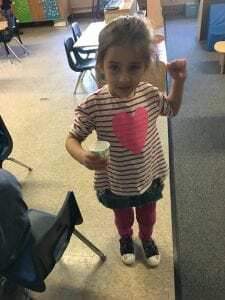 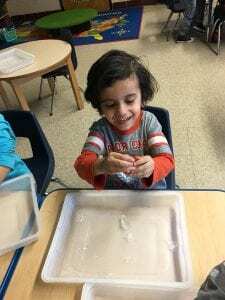 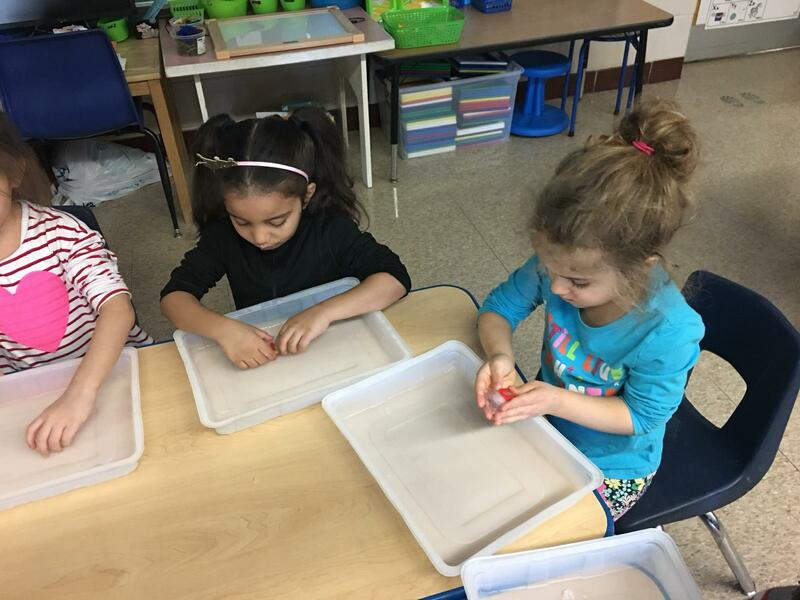 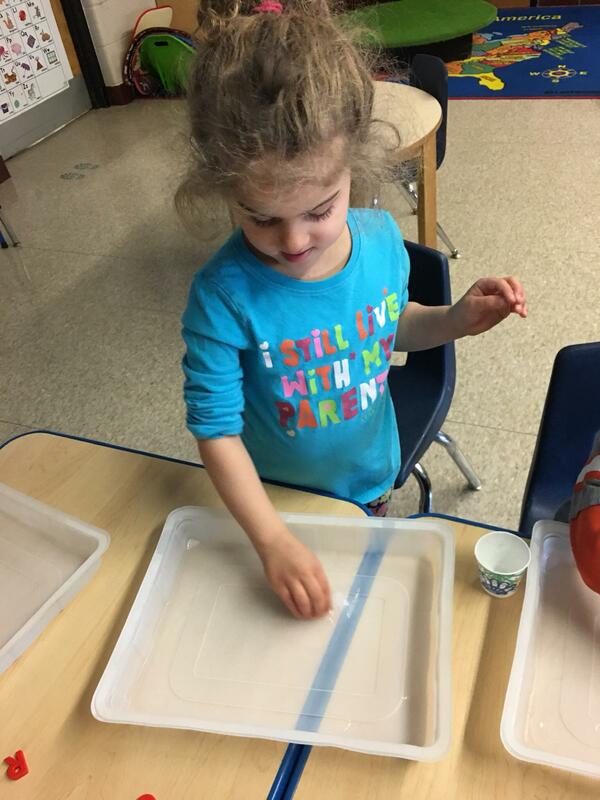 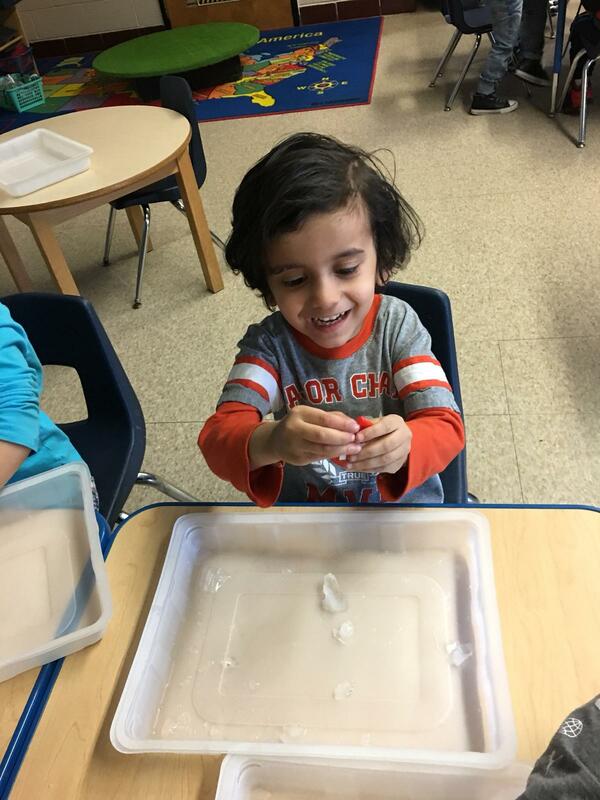 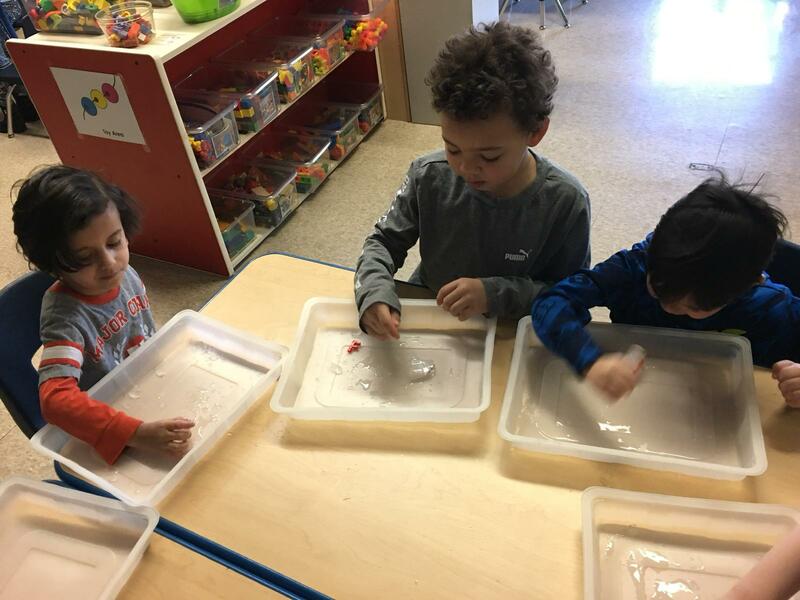 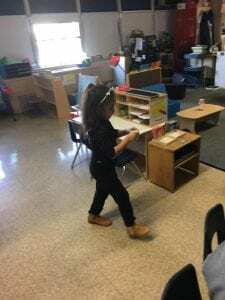 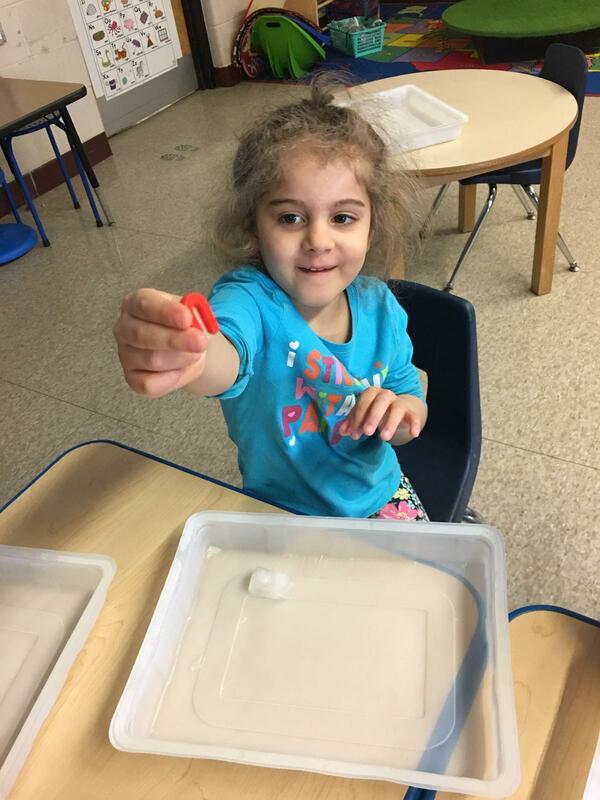 The letters got frozen in the ice cube trays and the children had to think of a way to get them out: some pounded it in the tray, some held it in their hands, and others used warm water. 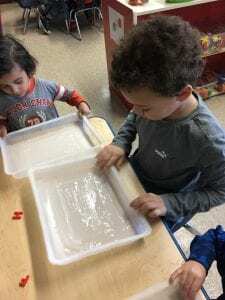 They each explained why their solution worked. 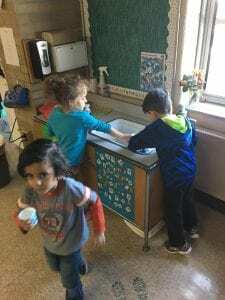 Another group came up with different solutions: some rubbed the ice cube across their trays, some licked their ice cube, and one child decided they needed to use a tool in our Woodworking Area. While we waited, the children were challenged to find something in the classroom the began with the sound of their letter. 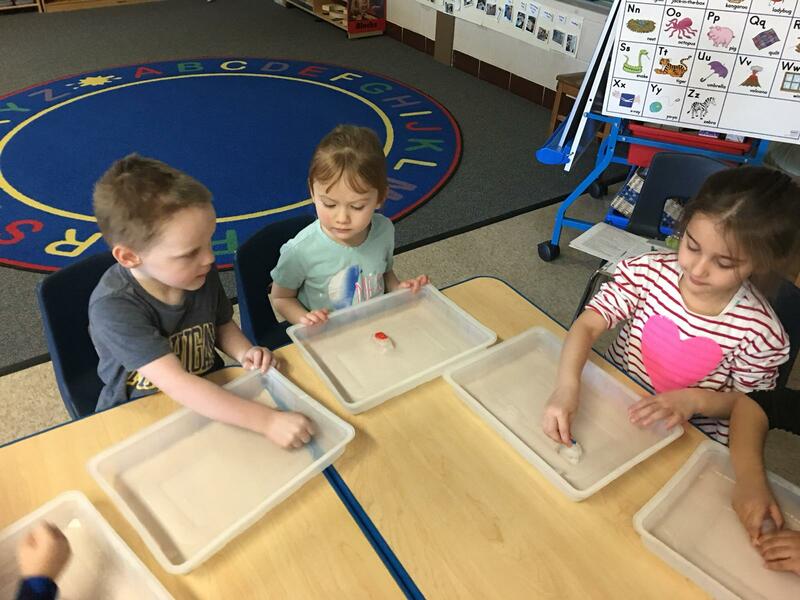 We checked on our ice cubes that sat in the sun, but they only melted a little. 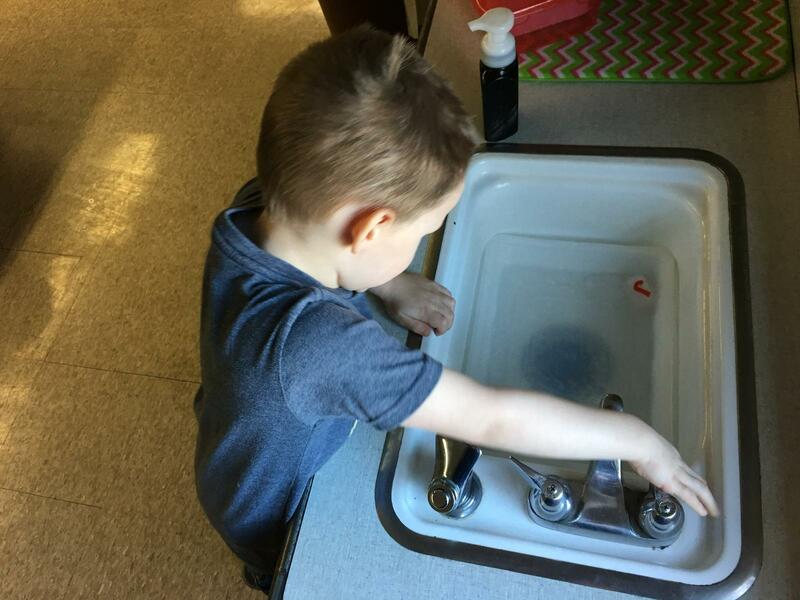 One child said it was because it was still cold outside.